Tampons and pads are expensive, which is why more orgaizations are working to make them more accessible. Menstruating isn't just having a monthly period. It's also having a monthly bill, because buying proper hygiene products such as pads and tampons can be costly. 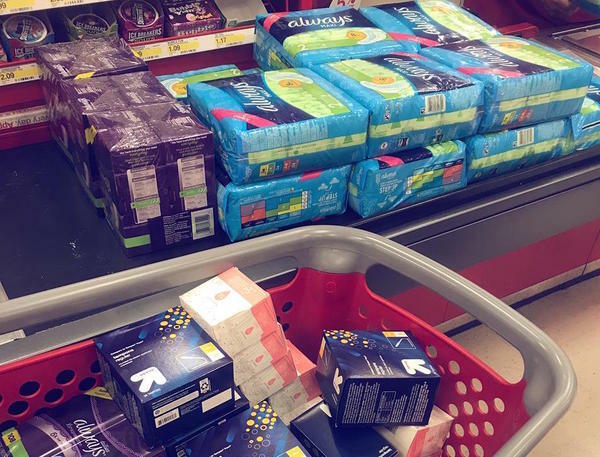 "It may cost $7 for 22 pads. That's pretty expensive," says Jessica McClellan, founder and president of a Kansas City non-profit called Giving Hope and Help, which provides funds and resources, including menstrual hygiene products, for domestic violence shelters. "Seven dollars will feed a family a meal," McClellan notes. "So what am I going to do? Am I going to buy this for seven dollars or am I going to feed my family chicken and mashed potatoes and macaroni tonight?" The Homeless Period Project has chapters all over the United States, and works to get proper supplies to people who need them. 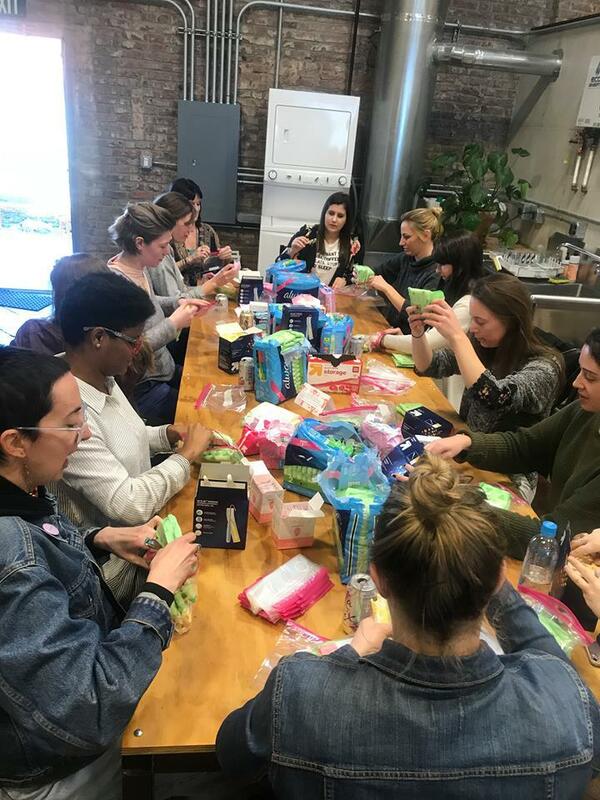 The Kansas City chapter hosts period packing parties to bundle important sanitary items to donate to area schools and shelters. McClellan says pads and tampons are some of the least-donated items to shelters. People who cannot afford these hygiene products are forced be creative yet less than safe, such as using a rag multiple times or stuffing their underwear with wadded-up toilet paper, says McClellan. The alternative is to miss out on daily life, skipping school or work, for one week every month. Not only does it take a toll on a menstruater's education and health, it costs them their dignity. That is why Becker and McClellan got involved in the growing movement to make these hygiene products available to those who need them and to help dispel the stigma around periods. "When you go to a public restroom, toilet paper is free," says McClellan. "It is a hygiene product, but it isn't considered a hygiene product. It is considered a necessity." Period supplies should be freely available in every public bathroom, she says. Until that can happen, tax-free menstrual supplies are a topic of national and international discussion. Minnesota, Illinois and New York have already outlawed sales-taxes on these products. And California, Illinois and New York now require menstrual products to be provided in public schools, says Jennifer Weiss-Wolf, the author of "Periods Gone Public: Taking a Stand for Menstrual Equity." Missouri and Kansas are among 32 states that impose sales taxes on menstrual supplies. The KCMO Homeless Period Project's next period packing party is 6:30 p.m., Wednesday, November 14 at the Cherry Pit Collective, 604 East 31st. Street, Kansas City, Missouri 64109. Jessica McClellan, Mackenzie Becker, and Jennifer Weiss-Wolf spoke with KCUR's Central Standard on Thursday. Listen to the full conversation here. Sofia Gillespie is an intern for KCUR's talk show Central Standard. Reach out to her at sofia@kcur.org.